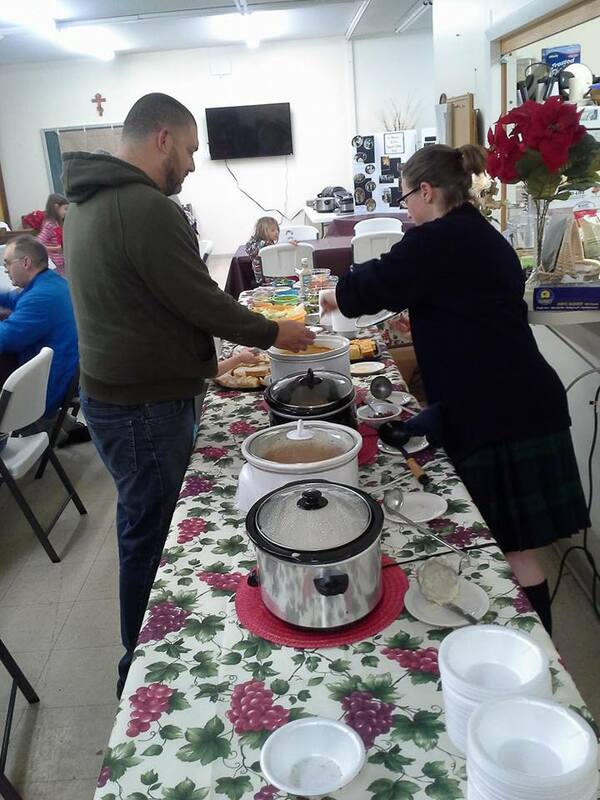 The parish hosted a evening meal for the neighborhood. Flyers were distributed to our neighbors in the prior week and announcements were published on social media sites like Facebook and Nextdoor. The meal’s theme was Soup & Salad. We served 5 varieties of soup, 2 salads, 4 types of bread and cookies. 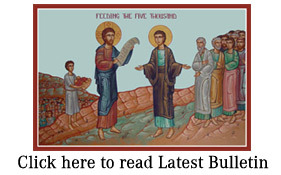 Following the meal the parish celebrated Evening Prayer (Vespers) for the Sunday of the Prodigal Son. In the foreground is the herbal bread that we sell at the farmers markets.